Mohammed Al Nemer is the Founder, Chairman and Chief Executive Officer of Morood Group. 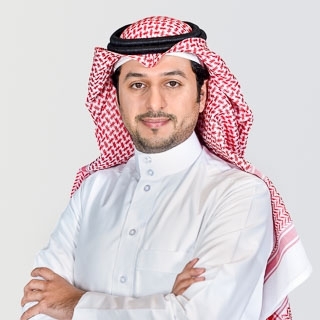 Driven by an entrepreneurial spirit, Mohammed Al Nemer established the Riyadh-based Group in 2012 as a privately held independent institutional investor. A young visionary with a keen passion for investing, Al Nemer forged enduring partnerships with leading entrepreneurs, prominent institutions and business groups in Saudi Arabia and overseas to successfully steer Morood Group to emerge as a trusted long-term investor in the real estate, food and beverage, entertainment and financial services sectors. One of Al Nemer’s many achievements is the establishment of Morood Investment Company, the financial services arm of Morood Group, which has become the portfolio management and wealth advisory partner of choice for ultra-high-net-worth individuals and families in the Kingdom. This success has stemmed from Al Nemer’s investment philosophy which is to pursue opportunities that present both value and synergy, tempered by rigorous due diligence in order to produce long-term risk-adjusted returns. Al Nemer serves on the boards of several local and international organizations, including Ana Odeer, a Saudi-based F&B management services company; Osool Entertainment, a Saudi-based recreational and entertainment company; Dar Al Tanmiyat, a Saudi-based real estate development company; Wabel Al Arabia, a real estate development company focused on the retail sector; and Cubitt & Bond, a prime residential real estate developer based in London, United Kingdom. Prior to establishing Morood Group, Al Nemer honed his skills in Corporate Banking with Saudi British Bank (SABB). He holds an MSc in Management from the renowned Cass Business School in London, together with a BSc in Management and Information Systems from King Fahd University of Petroleum and Minerals in Dhahran. In addition to taking part in several graduate and managerial development programs with SABB, he also completed the ‘High Potential Leadership Program’ at Harvard Business School, and attended ‘The Global Executive Seminar: Art of Successful Negotiations’ by Harvard Law School.